This important new EAGL expert team is convened by the World Commission on Protected Areas (WCPA) and approved by Accreditation Services International. Members are selected based their expertise and diverse experience with protected and conserved areas in countries across the Middle East and West Asia region. The EAGL will now implement the IUCN Green List programme by evaluating candidate sites for their performance in good governance, management effectiveness, and design for successful conservation outcomes. Advancing the Green List in the region is especially important with the Conference of the Parties to the Convention on Biological Diversity (CBD COP) taking place in November this year in Egypt. It is expected that several candidate sites, notably from Jordan, Lebanon, Palestine, Abu Dhabi and the Emirates, and Egypt, will register and begin to work towards achieving the IUCN Standard. Mohammed Zaarour will lead the EAGL through their tasks, which began with an orientation event held in Abu Dhabi, generously supported by the EAD. This event convened the new EAGL members and provided a detailed training in the IUCN Green List procedures and tasks for the new members. Mohammed’s inspiring leadership and dedication to protected areas saw him elected by the EAGL as their new chair. He commented at the meeting that “the new IUCN Green List provides a paradigm shift towards integrating best practices into protected areas management, including transparent governance and a high level of management effectiveness, that will help us all achieve tangible conservation outcomes”. Mohammed’s key skills are in strategic programme design and delivery, always with an eye to measuring impact and scaling-up results. 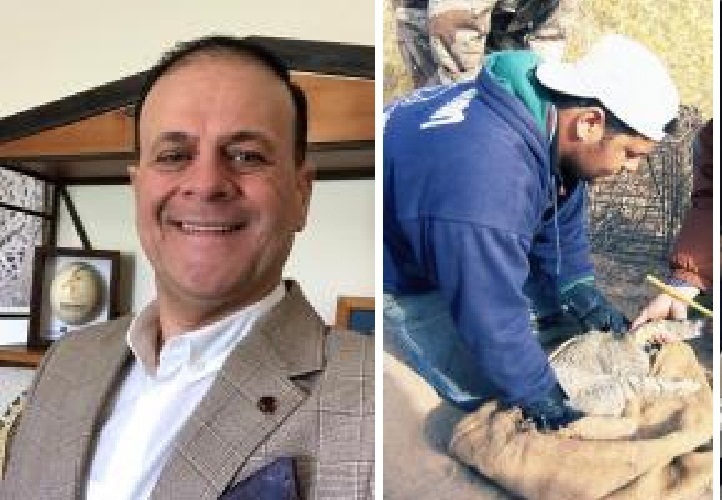 In over 25 years of experience he has helped consolidate successful conservation work in Jordan, and reach well beyond borders, mainly through his work with the Royal Society for the Conservation of Nature (RSCN), Jordan, and with their Royal Academy for Nature Conservation. Mohammed’s career began in the early 1990s as a fauna field researcher. He then grew into a leader for comprehensive ecological research and surveys that were undertaken in Jordan at that time. Due to his strategic thinking and management approach he was appointed as a director of conservation programs, and oversees protected area conservation programs and wildlife law compliance. Mohammed’s current role is to coordinate and develop all RSCN strategic conservation programs and projects and assure their effective implementation. He also helps maintain excellent relationship with RSCN partners and donors. The Royal Academy for Nature Conservation is where Mohammed has helped develop and implement programmes that continue to support the current and new generations of conservationists in the region. The Academy has a special focus on protected areas management planning, management effectiveness, and climate change. The Academy receives cohorts of protected areas managers who leave with better skills and active networks relating to effective management of conservation projects, and their relationship to sustainable development. Mohammed’s leadership and continued dedication is an inspiration to conservationists across the region and globally among the growing IUCN Green List community.